On In recent times, BMW has announced the recall of thousands of its 7 Series and 5 Series cars for defective transmissions. 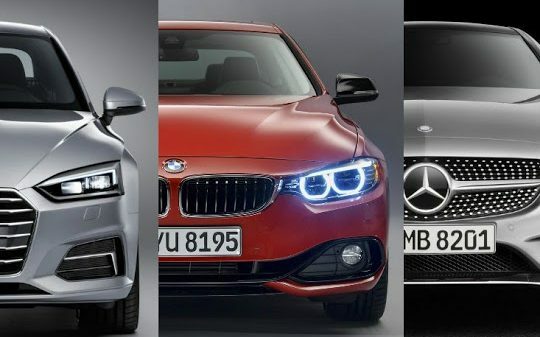 While drivetrain issues have been detected on several Series 3 cars, the most glaring BMW transmission problems have been with the 7 Series, with over 45,000 units being recalled to replace their automatic transmission. At Eurobahn Motorsports we want to be your go to service advisor for any concerns about your BMW Greensboro NC. A brief overview of these problems reveals poor manufacturing and insufficient quality control as some of the high-level causes of these failures. Rough downshift – One of the primary problems reported with the BMW 7 Series E65 and E66 has been the excessive amount of play and rough shifting between the 2nd and 1st gears while slowing down. Some owners have reported similar problems when rapidly shifting from the 2nd to 3rd gears. Mechanics and analysts believe that this problem may have less to do with sensors or the on-board computer but may be the result of a defective solenoid. On-board Computer Defects – Another common issue with the BMW 7 and BMW 5 series is the failure of the on-board computer during gear changes or even when the car is started up for the first time. While DIY solutions such as unplugging and a manual reset of the computer have been recommended, owners are advised to contact us for BMW Repair Greensboro NC for a comprehensive diagnosis and solution to the problem. It is highly recommended to have your car serviced by a certified BMW specialist before the problem turns into something more expensive. Disengaged and Unresponsive Gearshift – One of the newer complaints about the BMW transmission problems is that the transmission disengages from a running gear into neutral or does not shift out of a specific gear—usually the 2nd or reverse gear. A defective gear selection switch or bad sensors are suspected to be the cause of these problems. To get this transmission issue fixed come to BMW service center Greensboro NC at Eurobahn Motorsports and our Factory Trained Technicians will take great care of you!